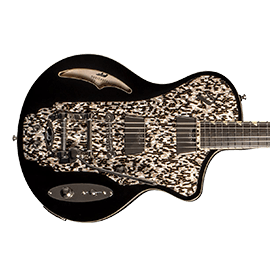 Duesenberg - Andertons Music Co.
Duesenberg are a German company that have made some major waves in recent years with their eye-catching guitars and attention to detail on every instrument made. 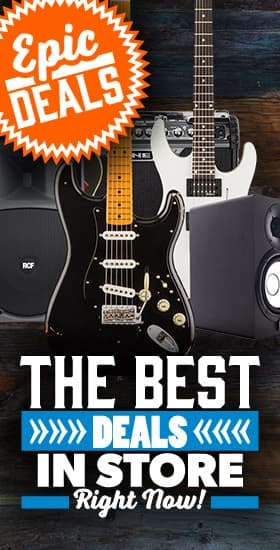 Not only do they make incredible looking instruments but they’ve also carved a niche in the guitar market for how they sound. Their in-house designed pickups and general body construction give these guitars a unique tone. Clean and clear without ever sounding ‘clinical’ or brittle. When you plug them into a good tube amp you’ll really hear the guitars sing with loads of sustain and power behind every note. 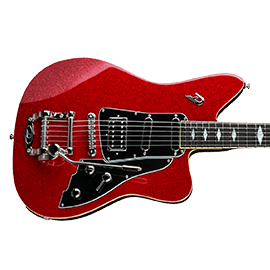 Duesenberg was created in 1986 in Hannover, Germany and were originally created as a brand for futuristic heavy metal guitars. 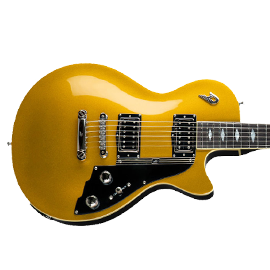 In 1995 Duesenberg were gaining attention for their famous Starplayer model. 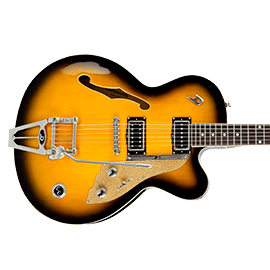 The Starplayer paved the way for Duesenberg with its original design and interesting wood choices and pickup configuration. 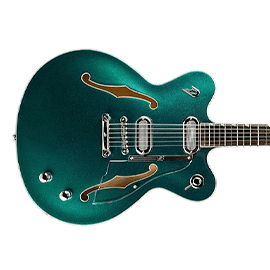 The humbucker in the bridge and p90 in the neck make for a guitar that can cover all styles of music equally well thanks to the cutting bridge tones and warm, bell-like cleans in the neck. In 2004 the company opened a brand in Fullerton, California in order to keep up with the demands of the growing company. 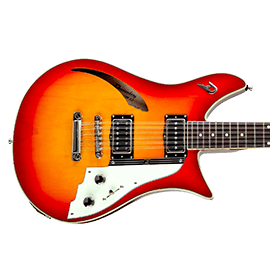 Famous users include the likes of Mike Campbell (Tom Petty & The Heartbreakers), Joe Walsh and Glenn Frey of the Eagles, Chris Cornell (Soundgarden) and even Johnny Depp! The Starplayer TV is definitely the star of the show when it comes to Duesenberg. 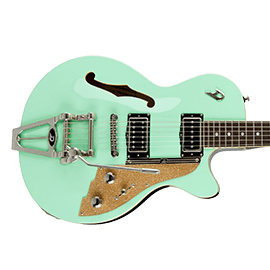 The Starplayer TV is a singlecut semi-hollow with Duesenbergs own take on the Bigsby trem system. 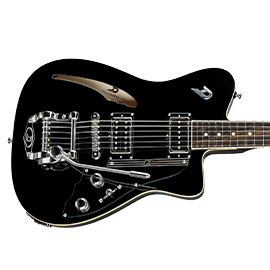 The Duesenberg trem is famous for being a string-thru system which makes life a lot easier when it comes to re-stringing. 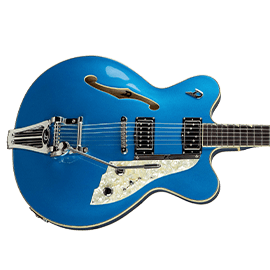 To go along with their semi-hollow Starplayer TV, Duesenberg have also got some hollowbody models like the Fullerton Hollow as well as solid body guitars for a more traditional electric guitar feel. On top of that the Duesenberg Signature range is extensive and includes some very quirky instruments indeed. 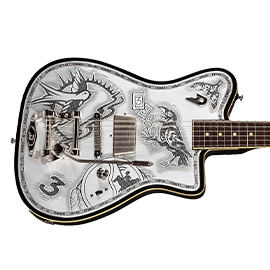 For example, the Soundgarden Black Hole Sun model had a full mosaic an the Johnny Depp signature model had all of his current tattoos recreated as graphics on the guitar. 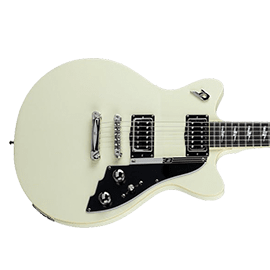 It’s safe to say that Duesenberg are one of the coolest guitar brands around and are only on an upward curve as more and more guitarists come to enjoy the simple, classy elegance of a doozy.